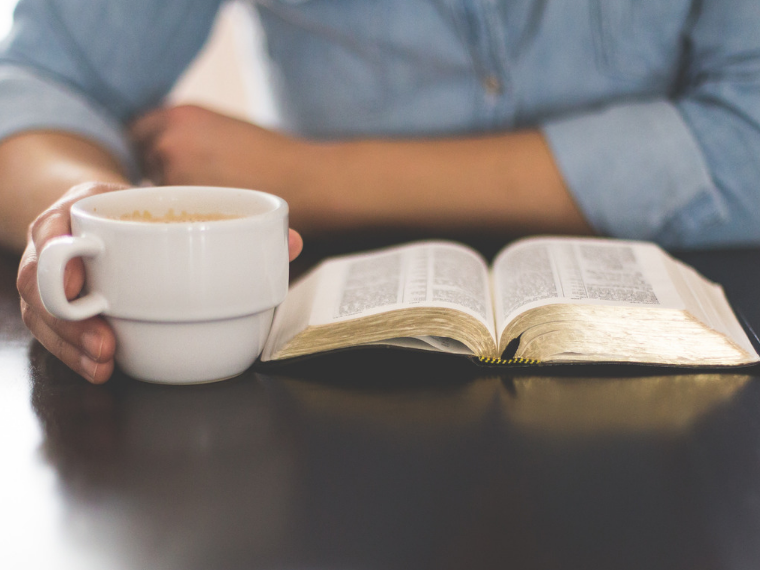 If you search online, you can find lots of ideas (and a certain number) of “Bible verses everyone must know.” But oftentimes, there’s really no explanation as to what impact they should have on our lives. I strongly believe that without application, reading and memorizing a bunch of Bible verses doesn’t really have a lasting impact. 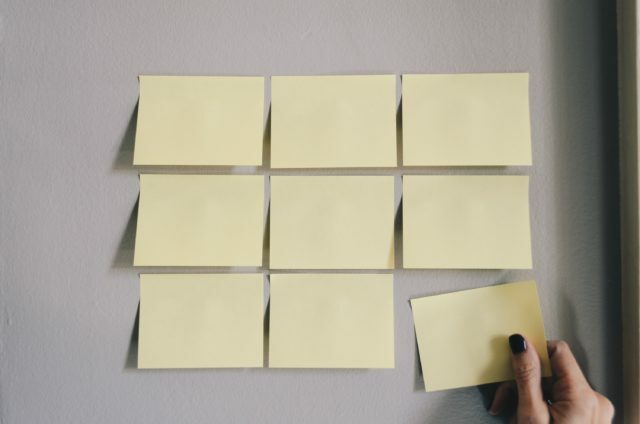 Anyone can memorize words–I’m guessing most of us did that growing up in school, like math facts or remembering poems to read in front of the class. On the other hand, “hiding God’s Word in our hearts” is a long-term work of the Holy Spirit to transform us through the truths of Scripture, as we not only read the words, but internalize them and let them sink deep into our souls. 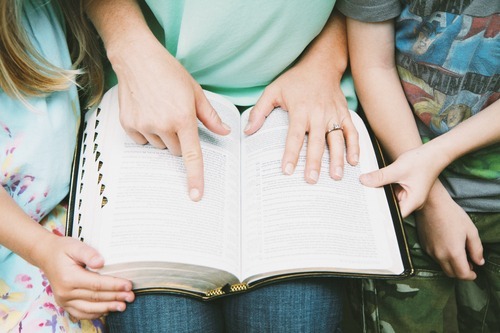 I want to learn Scripture together as a family that will help our kids understand who God is and how He works in and through us–in a way, help them to learn our foundational beliefs as Christians as they’re found in God’s Word, so that when hard times and faith struggles come, they can call to mind these life-giving words. So I looked for some passages that teach those truths and are also generally easy to understand, even by really young children. And even if our littlest ones don’t completely grasp the meaning yet, the Word is living and active, so it will make a difference in their hearts! 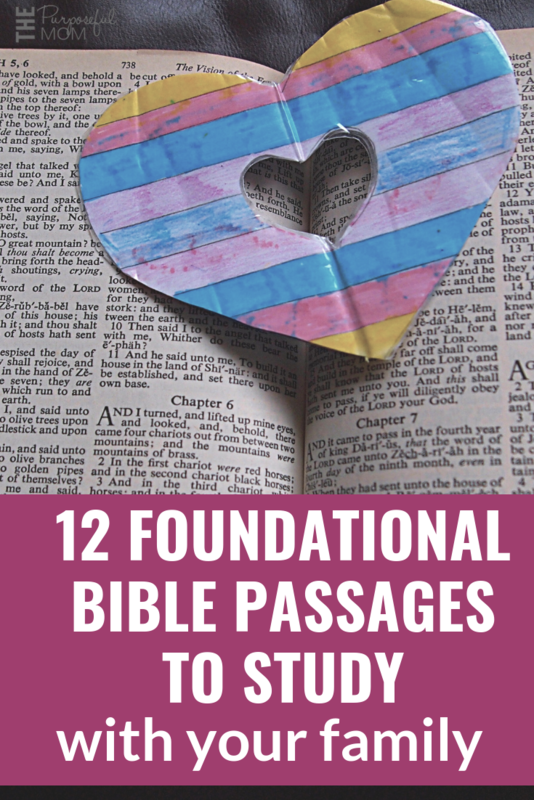 Here I’ll share with you the twelve Scripture passages I chose that cover tenants of faith that you can learn with your kids! There are many others, but I simply chose these as a good starting point. If you’re looking for a simple way to teach the Bible this summer, these verses would be great to read through, think on and discuss, but any time of the year is good for learning God’s Word! 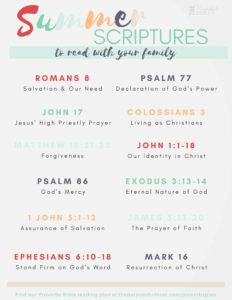 You can also download a printable of these verses that also tells you what topic they are covering to keep in your Bible. Read them aloud, taking turns reading if you’d like. Talk about your first impressions about what the passage means. Decipher any difficult or unfamiliar words using a dictionary or Bible concordance. Share how they apply to your life. Pray specific prayers relating to the verses. You can do this all in one day, or spread it out over five days time. This exegetical method of Bible study helps break the verses down, keeping it from feeling overwhelming! CLICK HERE TO DOWNLOAD THE PRINTABLE WITH THE VERSES SO YOU CAN KEEP IT HANDY DURING YOUR STUDY TIME! 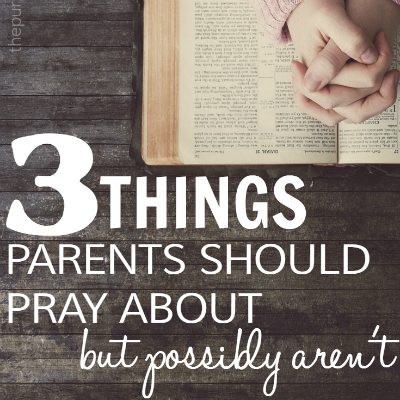 How do you find time for God’s Word with your kids? « Make Menu Planning Easier with Freezer Cooking! 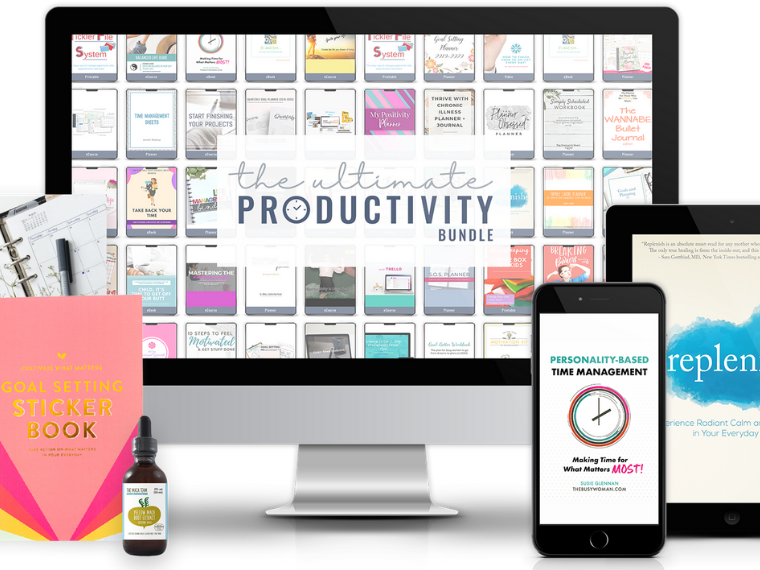 I want to follow some of your teachings online? Wow Jen you make some wonderful points and give great advice. Thanks so much!